Nexstar Media Group Agrees to Buy Tribune Media for $4.1 Billion; Fate of WGN-AM Unknkown. According to a report by Reuters, Nexstar Media Group Inc is offering Tribune Media $4.1 billion for its broadcast properties – 42 television stations, cable’s WGN America, various digital properties, and lone radio asset WGN-AM, Chicago. The story notes that Nexstar outbid private equity firm Apollo Global Management LLC with its all-cash offer. Unlike previous suitor Sinclair Broadcasting that owns three Seattle market radio stations, Nexstar Media holds no radio properties. It is unclear at this time if Nexstar has any interest in operating a major market news/talk radio outlet or not. Back in August, Tribune put the kibosh on the Sinclair deal after regulators referred to Sinclair’s previous divestments as a “sham” because the company still operated the stations in question. The deal with Nexstar would make it the largest television operator in the country. Expect the Justice Department to scrutinize this deal very closely. iHeartMedia Net Revenue Soars in October. As it has been doing since April, iHeartMedia is filing monthly financial data reports with the Securities Exchange Commission as it works through the Chapter 11 reorganization process. The most recent filing for the month of October shows revenue was $349.4 million – the highest we’ve seen since April’s $417.9 figure. But net income rockets to $100.2 million – an increase of more than 157% from September’s $11.9 million. Operating income also rises, from $62.4 million to $104.8 million. But those scrutinized payments to outside professionals (the one’s attending to the Chapter 11 business) spiked to the highest figure yet — $21 million. Former KGO, San Francisco Host Ray Taliaferro Found Dead in Kentucky. The search for missing retired radio talk show host Ray Taliaferro ended tragically as his body was found in a wooded area in Paducah, Kentucky three weeks after he’d disappeared. The story from KGO-TV, San Francisco states that authorities have released no details surrounding his disappearance and cause of death. Taliaferro – who hosted the overnight talk show on KGO-AM, San Francisco from 1977 through 2011 – was last seen talking with the manager of a Paducah pizza parlor before disappearing. The initial public statement by local authorities indicated Taliaferro may have been suffering from symptoms of dementia. Chad Benson Takes Over Afternoons on KXNT, Las Vegas. As TALKERS reported on November 19, longtime Las Vegas talk radio personality Alan Stock is exiting the afternoon drive show on Entercom’s KXNT-AM, Las Vegas. Now, the station confirms that Radio America-syndicated talk host Chad Benson will begin in the afternoon drive daypart today (12/3). The KXNT website states, “If you’ve never listened to Chad’s show, we suggest you check it out – because he isn’t the talk host you’re used to! He is conversational and informative, all while being irreverent and very funny.” Meanwhile, Alan Stock begins producing “The Alan Stock Answer” – a daily feature that will air on KXNT at 12:30 pm, 3:30 pm, and 6:30 pm every Monday through Friday. TALKERS News Notes. The Salem Radio Network’s SRN News and TOWNHALL News announce they will provide live coverage of the state funeral of former President George H.W. Bush on Wednesday (12/5) from the National Cathedral in Washington. Coverage will be anchored by White House correspondent Greg Clugston. Additionally, all SRN nationally syndicated talk shows hosted by Mike Gallagher, Eric Metaxas, Hugh Hewitt and others will pay tribute to President George H. W. Bush beginning today (12/3). SRN v.p./News & Talk Programming Tom Tradup says, “America has lost a great leader and a Godly family man. I had the honor of personally interviewing George H.W. Bush in New Orleans the morning he was announcing Dan Quayle as his 1988 vice presidential running mate. Even in that high-pressure moment, he was exceptionally generous with his time…exuding a grace and gentle strength that would define him for the rest of his days.”…..E.W. Scripps Company closes on its acquisition of Triton Digital for $150 million. Scripps forecasts that the acquisition will generate more than $3 million in revenue. President and CEO Adam Symson says, “The Triton acquisition aligns with the Scripps strategy of fueling company growth by being opportunistic in the marketplace and responsive to the changing needs of media consumers.”…..SiriusXM announces that former NBA pros Carlos Boozer, Caron Butler, Ryan Hollins, and Kenyon Martin are joining the roster of hosts on its SiriusXM NBA Radio channel. They’ll join the rotation of hosts on the all-new afternoon program “No Look Pass,” airing weekdays from 1:00 pm to 4:00 pm ET. George H.W. Bush Dies, Trump at G20/Xi Jinping Meeting, Looming Government Shutdown, Migrant Caravan/Mexican Border Issue, Trump-Russia Investigation, Paris Riots, Qatar to Quit OPEC, College Football Playoffs, and NFL Action Among Top News/Talk Stories Over the Weekend. Former President George H.W. Bush dies at age 94; President Trump’s appearance at the G20 summit in Argentina and his meeting to China’s Xi Jinping to temper the tariff battle between the two countries; the threat of a government shutdown over President Trump’s border wall funding issue; the migrants amassed at the U.S.-Mexico border and U.S. immigration policy; the Robert Mueller-led investigation into possible connections between Trump campaign operatives and Russian agents and Michael Cohen’s plea deal; Qatar announces it will quit OPEC in the New Year; the NCAA names the four teams for this year’s College Football Playoffs; and the weekend’s NFL action were some of the most-talked-about stories on news/talk radio over the weekend, according to ongoing research from TALKERS magazine. November 2018 PPM Data – Part Three. November 2018 ratings information has been released for Portland, Charlotte, San Antonio, Pittsburgh, Sacramento, Salt Lake City, Las Vegas, Cincinnati, Orlando, Cleveland, Kansas City, and Columbus. Nielsen Audio’s November 2018 survey period covered October 11 – November 7. See all the 6+ date from subscribing stations here. Meanwhile managing editor Mike Kinosian (Kinosian@Talkers.com) provides his “Takeaways” from these 12 PPM markets. Portland Spoken Word Formats – Consistently in 5.0 – 5.3 range from July through November (5.0 – 5.3 – 5.2 – 5.3 – 5.1, 6+), Alpha Media news/talk KXL “101 FM News – Stay Connected” repeats at #4, following four successive months (June – September) at #5. Meanwhile, iHeartMedia’s KEX “News Radio 1190 – Depend on Us” is unchanged from October in both 6+-share (2.2) and 6+-market rank (#18), with 2.2 its best 6+-showing in more than two years (2.2, as well, in August 2016). Flat at #23, Alpha Media news/talk KUFO “Freedom 970” is up a collective three-tenths in October and November (.8 – .9 – 1.1, 6+). After returning the six-tenths it gained in September (1.7 – 2.3 – 1.7, August-September-October, 6+), Entercom sports talk KFXX “1080 The Fan” sputters by another four-tenths in November to 1.3 (6+) and exits the top twenty (#20 to #21, 6+). Portland’s “Fan” was a collective +.9 in August and September (1.4 – 1.7 – 2.3, 6+); however, just prior to August, it posted six straight down or flat moves that resulted in a -1.0 (2.4 – 2.0 – 2.0 – 2.0 – 1.5 – 1.5 – 1.4, 6+). Right behind KFXX is Alpha Media-owned KXTG “The Game” (-.2, flat at #22, 6+), which is trending (1.4 – 1.2 – 1.5 – 1.4 – 1.2, July through November, 6+). Meanwhile, the flagship of the Portland Trailblazers – iHeartMedia’s KPOJ “Rip City Sports Radio 620” – logs its third increase in a row (.4 – .5 – .5 – .7, #28 to #25, 6+), which nearly doubles (+.3) its 6+-share since August. Without a loss for the fourth time in a row for a collective +1.1 (8.1 – 8.1 – 8.2 – 8.9 – 9.2, 6+), Oregon Public Broadcasting news/talk KOPB repeats at #1 with its best 6+-stat (9.2) since March (9.5). KOPB had been on top from January to August (including a tie in April), before dropping to second in September. This calendar year, KOPB has been +1.1 (January); -1.1 (February); +1.0 (March); -1.0 (April); -.5 (May); and +.7 (October). Portland Music Formats – Locked on 4.0 (6+) in September and October, Alpha Media CHR KBFF erupts with a +.9 to 4.9, its highest 6+-share in exactly two years (5.3, November 2016); “Live 95.5” advances from eighth to fifth. Owing to a one-tenth gain to 2.9 (#17 to #16, 6+), iHeartMedia’s similarly-programmed KKRZ “Z-100 Portland’s #1 Hit Music Station” applies the brakes to five successive down or flat monthlies that accounted for a combined loss of -1.2 (4.0 – 3.6 – 3.4 – 3.3 – 3.1 – 3.1 – 2.8, 6+). An overall -.9 in three straight decreases (4.7 – 4.4 – 4.3 – 3.8, 6+), co-owned KFBW “105.9 The Brew – Portland’s Rock Station” improves by six-tenths as well (3.8 – 4.4, 6+) and returns to the top ten (#12 to #7). Cluster-mate KUPL “98.7 The Bull – #1 for New Country” posts a gain of six-tenths in back-to-back sweeps (2.4 – 3.0 – 3.6, 6+) and jumps from #14 to #12. Prior to October, “The Bull” was -1.6 in three straight sweeps without an increase (4.0 – 4.0 – 3.9 – 2.9 – 2.4, 6+). As the result of its November improvement, KUPL bypasses Entercom’s similarly-formatted KWJJ, which is a cumulative -1.1 in five straight sweeps without a gain (4.6 – 4.6 – 3.9 – 3.9 – 3.9 – 3.5, 6+); “99.5 The Wolf – The Northwest’s Hottest Country” exits the top ten (#10 to #13). Despite more than doubling (+2.3) its 6+-share in four straight up or flat trends (1.7 – 2.5 – 3.0 – 4.0 – 4.0, 6+), Salem Media Group contemporary Christian KFIS “104.1 The Fish” departs the top ten (#8 to #11). Entering the August sweep, “The Fish” had been down in each of the previous four monthlies for a cumulative -.8 (2.5 – 2.1 – 2.0 – 1.8 – 1.7, 6+). Up four-tenths to 3.3 (#16 to #14, 6+), Entercom hot AC KRSK “105.1 The Buzz – Today’s Best Mix” curtails four successive decreases that resulted in a combined -1.0 (3.9 – 3.7 – 3.5 – 3.4 – 2.9, 6+). The seven-tenths increase that iHeartMedia classic hits-oldies KLTH “106.7 The Eagle” posted in October is obliterated in November with a -.8 (7.6 – 6.8, flat at #3, 6+). Just prior to the October ratings period, “The Eagle” had been down or flat four straight months for a collective loss of four-tenths (7.3 – 7.3 – 7.1 – 7.1 – 6.9, 6+). Four successive reports without a loss netted iHeartMedia adult contemporary KKCW a +1.6 (7.2 – 7.7 -7.9 – 8.8 – 8.8, 6+), but “K-103” forfeits six-tenths to 8.2 (flat at #2, 6+). October’s 8.8 was the best 6+-stat since “Holiday” 2017’s 16.9 for KKCW, which was #1 in December 2017 (13.0, 6+); “Holiday” 2017 (16.9, 6+); and tied for first (with KOPB) in April 2018 (8.5, 6+). Dropping six-tenths as well in November is All Classical Public Media’s KQAC “All Classical Portland” (3.2 – 2.6, #13 to #17, 6+). A collective -1.0 as a result of four decreases in a row (5.6 – 5.4 – 4.8 – 4.7 – 4.6, 6+), Entercom-owned KGON falls from fifth to sixth. Immediately prior to this streak, “92.3 Portland’s Classic Rock” had been without a loss four straight times for a +1.6 (4.0 – 4.0 – 4.6 – 5.4 – 5.6, 6+). Charlotte Spoken-Word Formats – Not only does Entercom news/talk outlet WBT add one-half share to October’s +.9 (2.9 – 3.8 – 4.3, 6+), the flagship of the NFL’s Carolina Panthers enters the top ten (#12 to #10). This is WBT’s highest 6+-share since February (4.3, as well). Flat at #19, co-owned sports talk WFNZ “The Fan – Charlotte’s Sports Leader” more than doubles (+.7) its 6+ share via four straight up or flat moves (.6 – 1.0 – 1.1 – 1.3 – 1.3, 6+). This particular streak follows four straight sweeps without an increase for the key station of the NBA’s Charlotte Hornets that resulted in a -1.1 (1.7 – 1.7 – 1.1 – .7 – .6, 6+). Four downward trends in succession by University Radio Foundation news/talk station WFAE accounted for a combined -1.6 (4.1 – 3.7 – 3.0 – 2.7 – 2.5, 6+), but “Charlotte’s NPR News Source” picks up two-tenths to 2.7 (6+), moving from #17 to #15. The July through November topline for South Carolina Educational Television Commission news/talk WNSC is: .5 – .6 – .5 – .7 – .6 (flat at #20, 6+). Charlotte Music Formats – In another ratings report full of tremendous news for iHeartMedia adult hits WLKO, “102.9 The Lake” nets an overall +3.0 as the result of seven straight months without a loss (4.1 – 4.3 – 4.7 – 5.2 – 5.5 – 5.5 – 6.4 – 7.1, 6+) and progresses from third to second. Additionally, this (7.1) is the strongest 6+-share for “The Lake” since December 2017’s 7.2. An increase of one-half share to 4.5 (6+) by Radio One’s WOSF “105.3 RnB” puts an end to its July – October sequence of 4.3 – 4.0 – 4.3 – 4.0 (6+); 4.5 represents its strongest 6+-share since 4.9 in March. Level at 7.5 (6+), Beasley Media Group’s WSOC is #1 for the third month in a row. A loss of two-tenths in October by “103.7 Country’s Hottest Hits” ended four straight up or flat reports that netted a +1.5 (6.2 – 6.9 – 6.9 – 7.5 – 7.7, 6+). Prior to August, the last time WSOC reached the seven-share level (6+) was “Holiday” 2016 (7.0). Meanwhile, iHeartMedia’s WKKT “96.9 The Kat – Charlotte’s #1 for New Country,” which was an overall +1.1 in four successive months without a loss (6.0 – 6.2 – 6.2 – 6.8 – 7.1, 6+), dips four-tenths to 6.7 (second to fourth, 6+). After being a combined +1.3 in September and October (2.7 – 3.5 – 4.0, 6+), CHR cluster-mate WHQC “Channel 96.1” surrenders nearly half that increase in November (3.4 -.6, 6+) and exits the top ten (#10 to #13). Down by one-tenth in both September and October (4.9 – 4.8 – 4.7, 6+), Beasley Media Group urban contemporary WPEG “Power 98” posts a gain of three-tenths to 5.0 (6+) and ranks eighth for the sixth month in a row. In five straight decreases, Educational Media Foundation contemporary Christian WRCM “Positive & Encouraging K-Love” is a collective -1.9 (4.3 – 3.9 – 3.8 – 3.4 – 2.9 – 2.4, #15 to #17, 6+). Off one-half share in November as well is Radio One gospel WPZS “Praise 100.9 Charlotte’s Inspiration Station” (2.9, flat at #14, 6+), which had been a collective +.7 in September and October (2.7 – 3.1 – 3.4, 6+). While flat at #4, Beasley Media Group urban AC WBAV “V-101.9” is nonetheless -1.9 as the result of four straight negative moves (7.9 – 7.6 – 6.9 – 6.1 – 6.0, 6+). “V-101.9” was +1.4 in May; eroded by -1.2 in June; and erased that -1.2 in its entirety in July with a +1.2. San Antonio Spoken-Word Formats – Despite surrendering one-tenth to 4.4 (6+) iHeartMedia news/talk WOAI News Radio 1200 – San Antonio’s News, Traffic, & Weather” improves from eighth to seventh. The loss, however, ends at three its consecutive string of improvements that yielded one full-share (3.5 – 3.8 – 3.9 – 4.5, 6+) for the San Antonio Spurs’ flagship. October’s 4.5 was its best 6+-showing since April 2017 (4.5, as well). The July 2018 – November 2018 topline for Alpha Media news/talk KTSA “Stay Connected” (#21 to #22) is 1.4 – 1.7 – 1.4 – 1.7 – 1.5 (6+). Without an increase for the third straight month (.7 – .7 – .6 – .5, 6+), iHeartMedia sports talk KTKR “Ticket 760 – San Antonio’s Sports Station” nonetheless advances from #29 to #28. Anchored at #12, Texas Public Radio news/talk KSTX “Hear Yourself Think” nets one full-share as a result of four consecutive up or flat trends (2.6 – 3.0 – 3.4 – 3.4 – 3.6, 6+). San Antonio Music Formats – There’s a major development at the top of this Texas market’s November 2018 leaderboard as the 2.2-share (6+) advantage that Cox Media Group classic hits-oldies KONO-FM “101.1 San Antonio’s Greatest Hits” held in October over co-owned KCYY “Y-100 San Antonio’s New Country Leader” vanishes. The end result is that KONO-FM (8.3 – 6.9, -1.4, first to second, 6+), which had been on top the past ten sweeps, trades places with “Y-100” (6.1 – 7.0, +.9, second to first, 6+). When KONO-FM sputtered by one-half share in October, it halted at four a consecutive string of increases that yielded a +2.2 (6.6 – 7.0 – 7.7 – 7.8 – 8.8, 6+). In September, “101.1 San Antonio’s Greatest Hits” reached the eight-share threshold (8.8) for the first time since November 2016’s 8.2. As far as “Y-100” is concerned, September’s loss of eight-tenths curtailed three straight gains that accounted for a +1.5 (5.3 – 5.7 – 5.9 – 6.8, 6+). In August, KCYY reached the six-share level (6.8) for the first time since October 2017’s 6.0. Meanwhile, iHeartMedia’s KAJA “KJ-97 San Antonio’s #1 Country Station” levels off at 5.0 (fourth to sixth, 6+) after plummeting by -1.1 in October (6.1 – 5.0, 6+). A collective -1.3 in March and April, “KJ-97” answered with a +.6 in May. Off by one-tenth in September and October (1.9 – 1.8 – 1.7, 6+), Educational Media Foundation contemporary Christian KZAR “Air 1 Positive Hits” busts out a +.8 to 2.5 and enters the top twenty (#18), with its best 6+-stat (2.5) since May’s 2.4. Faltering by nine-tenths and one-half share, respectively, though are its contemporary Christian cluster-mates KZLV (3.4 – 2.5, #12 to #18, 6+) and KMLR (.8 – .3, #30, 6+), both of which use the “Positive & Encouraging K-Love” identity. A one-tenth gain to 3.0 (6+) in October by KXXM interrupted five April through September decreases that accounted for an overall -2.1 (5.0 – 4.9 – 4.4 – 3.7 – 3.3 – 2.9, 6+). In November, the iHeartMedia CHR piles on another seven-tenths to 3.7 (6+) as “96.1 Now – San Antonio’s #1 Hit Music Station” zooms from #16 to #11. Down or flat the past three sweeps for an overall -1.6 (4.9 – 4.0 – 3.3 – 3.3, 6+), Cox Media Group hot AC KSMG “Magic 105.3 – Today’s Best Music” improves by six-tenths to 3.9 and jumps into the top ten (#14 to #10). By notching a one-half share gain (4.9 – 5.4, 6+), co-owned classic rock KTKX “106.7 The Eagle” elevates from fourth to third. Completely erasing October’s six-tenths’ gain (3.2 – 3.8 – 3.2, 6+), Univision Radio’s KXTN “107.5 Tejano & Proud” tumbles from #10 to #14; October’s 3.8 was its best 6+-performance since February’s 4.0. While it remains at #7, Cox Media Group’s KISS “Rocks San Antonio” has its consecutive string of up or flat moves that yielded an overall +1.0 stall at four (3.6 – 3.6 – 3.9 – 4.5 – 4.6, 6+). Pittsburgh Spoken-Word Formats – Notwithstanding that it is off one-tenth, Entercom news/talk KDKA-AM manages to improve from ninth to eighth. The March through November high/low range for “News Radio 1020” is 4.6/4.0: (4.6 – 4.5 – 4.2 – 4.4 – 4.2 – 4.0 – 4.0 – 4.6, 6+). After picking up three-tenths in October, co-owned sports talk KDKA-FM “93.7 The Fan” regresses by seven-tenths in November (6.4 – 5.7, fourth to sixth, 6+). “The Fan” was +2.0 in April (5.8 – 7.8, 6+); -2.0 in three straight May – June – July declines (7.8 – 7.4 – 6.5 – 5.8, 6+); +1.4 in August (5.8 – 7.2, 6+); and -1.1 in September. Unchanged at .2 (#23, 6+), iHeartMedia sports talk WBGG “970 AM – ESPN Pittsburgh” has notched either a .1 (6+) or a .2 (6+) in each of the last 19 ratings periods. A loss of two-tenths to 3.2 (#11 to #13, 6+) by Essential Public Media news/talk WESA “90.5 Pittsburgh’s NPR Station” ends three straight positive spikes that produced a cumulative +1.4 (2.0 – 2.4 – 3.0 – 3.4, 6+). Pittsburgh Music Formats – Displaying its best 6+ showing since January (6.8, as well), Renda Broadcasting adult contemporary WSHH is an overall +1.5 as the result of three upticks in a row (5.3 – 5.6 – 6.3 – 6.8, 6+). “Wish 99.7” progresses from fifth to fourth. Owing to three straight gains (4.0 – 4.3 – 4.7 – 4.9, 6+), iHeartMedia alternative WXDX “105.9 The X” is an overall +.9, as the flagship of the NHL’s Pittsburgh Penguins inches up from eighth to seventh. Level at 9.5 (6+) after October’s loss of seven-tenths, classic hits-oldies sibling WWSW “94.5 – 3WS” is on top for the 21st consecutive ratings period. Anchored in the runner-up slot for the 11th successive sweep, co-owned rocker WDVE posts its third bump in succession for a +1.0 (7.7 – 8.0 – 8.3 – 8.7, 6+); WDVE was off eight-tenths in August. Led by Entercom-owned WDSY “Y-108” Pittsburgh’s Country (4.8 – 4.4, -.4, seventh to ninth, 6+) and iHeartMedia’s WPGB “Big 104.7 – Pittsburgh’s #1 For New Country” (3.4 – 3.7 (+.3, steady at #11, 6+), four mainstream country facilities appear in the top twenty. The other members of that quartet are Forever Media siblings, both using the “Froggy” identity WOGG (1.6 – 1.9, +.3, #16 to #14, 6+) and WOGI (.9 – 1.0, +.1, #20, 6+). Off one-half share to 7.0, its lowest 6+-showing since June (7.0, as well), Steel City Media adult hits WRRK “96.9 Bob FM – We Play Anything” carries on at #3. The January through November (6+) high/low range for “Bob” is 7.9/7.0. Sacramento Spoken-Word Formats – Repeating at #2, iHeartMedia-owned news/talk KFBK “Sacramento’s News, Weather, and Traffic Station” dips two-tenths (7.0 – 6.8, 6+) following October’s massive +1.4. Immediately prior to the October ratings period, KFBK hadn’t posted an increase in the eight previous reports resulting in an overall -3.0 (8.6 – 8.1 – 8.1 – 7.8 – 6.7 – 6.3 – 6.0 – 6.0 – 5.6, 6+). Co-owned KSTE “Talk 650” is a collective +.7 via three consecutive sweeps without a loss (2.3 – 2.6 – 3.0- 3.0, 6+) and continues at #13. Doubling (+.8) its 6+-share since August (.8 – 1.2 – 1.5 – 1.6, 6+), Entercom’s KIFM-AM carries on at #19. Just before this particular streak, “ESPN Radio 1320” lost 50% of its 6+-share (-.8) in three straight decreases (1.6 – 1.4 – 1.1 – .8, 6+). For the third sweep in succession, Bonneville’s KHTK “Sports 1140” has a fluctuation of one-tenth, 1.1 – 1.2, 1.2 – 1.3, 1.3 – 1.2 (6+) and is flat at #21. As noted above, KFBK notched a huge (+1.4) October gain. It is the turn this time for news/talk KXJZ (+1.1, third to second). Moreover, the Capital Public Radio outlet is without a loss for the fourth straight time for an overall +1.9 since July (4.5 – 5.1 – 5.3 – 5.3 – 6.4, 6+) and KXJZ crosses the six-share threshold (6.4, 6+) for the first time in its PPM-history. This is the fifth occurrence in the last nine sweeps that Northern California Public Broadcasting’s KQEI has recorded a .6 (flat at #26, 6+). Sacramento Music Formats – A combined -.9 in August and September (5.1 – 4.4 – 4.2, 6+), Bonneville’s KNCI completely erases that deficit in October and November (4.2 – 4.3 – 5.1, +.9, 6+) as “New Country 105.1” jumps from eighth to fifth. At the same time, iHeartMedia’s KBEB “92.5 The Bull – #1 for New Country” is up two-tenths in consecutive sweeps (2.1 – 2.3 – 2.5, steady at #14, 6+), while the market’s other country outlet, Entravision Communications-owned KNTY “101.9 The Wolf,” is flat at 2.0 (#16 to #17, 6+). By gaining six-tenths (4.4 – 5.0, steady at #6, 6+), Entercom CHR KUDL “106.5 The End” logs its best 6+-showing since May’s 5.6. Improving by one-half share each are KUDL’s rhythmic CHR cluster-mate KSFM (3.2 – 3.7, #12 to #11, 6+) and iHeartMedia urban-rhythmic oldies KHYL “V-101.1” (3.9 – 4.4, #10 to #8, 6+), which has its best 6+-stat (4.4) since August 2015’s 4.7. Notwithstanding that is a cumulative -1.6 in back-to-back sweeps (9.7 – 9.2 – 8.1, 6+) and has its lowest 6+-share (8.1) since April’s 8.0, Entercom-owned KSEG “96.9 The Eagle – Sacramento’s Classic Rock” is #1 for the 10th straight time. “The Eagle” was +1.0 (May); +.9 (June); -.9 (July); +.6 (September); -.5 (October); and now -1.1 (November). Up two-tenths and flat at #14 (2.3 – 2.5, 6+), Entravision Communications rhythmic CHR KHHM “Hot 103.5” is within 2.2 – 2.9 range for the 13th consecutive sweep. As a result of having its 6+-share sliced in half (1.8 – .9, -.9, 6+), Educational Media Foundation contemporary Christian KLVB “Positive & Encouraging K-Love” drifts from the top twenty (#18 to #25). In three down or flat months in succession (4.2 – 4.0 – 4.0 – 3.4, 6+), Entercom-owned KKDO is a combined -.8. “Alt 94.7 – Sacramento’s Alternative” exits the top ten (#9 to #12) with its lowest 6+-share since May (3.4, as well). Salt Lake City Spoken-Word Formats – It’s another dramatic fluctuation for Bonneville’s KSL, which follows October’s massive +2.4 to 7.2, its highest 6+-share since April’s 8.1, with a -1.8 to 5.4 (6+). Consequently, “News Radio 102.7 FM & 1160 AM” has a one-month stay at #1 and slumps to fifth. Prior to October, the last time KSL reached #1 was in April. By picking up four-tenths in August, KSL pulled the plug on three consecutive declines that accounted for a -3.5 (8.1 – 5.2 – 4.9 – 4.6, 6+). 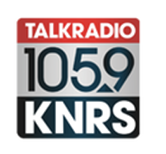 Meanwhile, iHeartMedia’s KNRS “Talk Radio 105.9 – Listen And You’ll Know” is a combined +1.0 in October and November (3.9 – 4.7 – 4.9, level at #7, 6+) and has its strongest 6+-showing (4.9) since March 2017’s 5.6. The August 2018 – November 2018 topline for Broadway Media-owned KALL is 1.7 – 1.8 – 1.8 – 1.7 (6+), with “ESPN 700 – Utah’s #1 Sports Talk” remaining at #21. Immediately in advance of that, KALL was an overall +.5 via four consecutive positive or flat moves (1.4 – 1.5 – 1.5 – 1.9 – 1.9, 6+). A collective -.8 in September and October (3.5 – 3.0 – 2.7, 6+), University of Utah news/talk KUER picks up one-tenth in November to 2.8 (#15 to #13, 6+). Brigham Young University news/talk KUMT debuted in September with a .9 (6+); was off six-tenths in October to .3 (#26 to #27, 6+); and disappears in November. Salt Lake City Music Formats – Locked in a three-way tie at #3 in October, iHeartMedia-owned classic hits-oldies KODJ “94.1 Salt Lake’s Greatest Hits” roars back from a -1.1 (6.7 – 5.6, 6+) with a +1.5 to 7.1 (6+) and takes over at #1. Previously this calendar year, KODJ held sole possession of the top spot or was tied for the lead in June, July, August, and September. Its gain of three-tenths in September curtailed three straight decreases that accounted for a loss of one-half share (6.9 – 6.8 – 6.7 – 6.4, 6+). Part of that October three-way scrum at #3 was KODJ’s format rival, Bonneville’s KRSP “103.5 The Arrow,” which improves by one-half share to 6.1, progressing to the runner-up slot. “The Arrow” had been off four-tenths in three straight (mostly) flat or down moves (6.0 – 5.6 – 5.6 – 5.6, 6+). Notching one-half share October – November gains as well are independent KSOP-FM “Z-104 Utah’s #1 Country” (4.2 – 4.7, ninth to eighth, 6+) and Broadway Media alternative KXRK “X-96 Utah’s Original Alternative” (3.8 – 4.3, 6+). “Z 104” has its highest 6+ share since March (4.7, as well), while “X-96” cracks the top ten (#12 to #10). Even though Cumulus Media adult contemporary KBEE is a collective +1.8 via three straight upticks (2.7 – 3.6 – 4.3 – 4.5, 6+), “B-98.7 Today’s Hits & Yesterday’s Favorites” backslides from eighth to ninth. “B-98.7” gained six-tenths between April and July (2.7 – 3.3 – 3.3 – 3.3, 6+). On the other hand, co-owned country KUBL “K-Bull 93” is an overall -2.1 in four consecutive decreases (5.9 – 5.7 – 4.2 – 4.0 – 3.8, 6+) and departs the top ten (#10 to #12). Las Vegas Spoken-Word Formats – As it posts a 1.9 for the third time in the last four sweeps (1.9 – 1.8 – 1.9 – 1.9, 6+), Entercom’s KXNT falls out of the top twenty (#20 to #21). Prior to gaining two-tenths in August, “News Talk Radio 840” had been down or flat the previous three ratings periods for a net loss of four- tenths (2.1 – 2.0 – 1.7 – 1.7, 6+). In a somewhat similar vein, Beasley Media Group news/talk KDWN “AM 720 Where Las Vegas Comes to Talk” records a 1.1 (6+) for the fourth time in the last seven survey periods, 1.1 – 1.0 – 1.1 – 1.1 – 1.0 – 1.3 – 1.1 (6+), dropping from #24 to #25. Doubling (+.5) its 6+ share through four up or flat trends (.5 – .6 – .9 – .9 – 1.0, 6+), Lotus Communications sports talk KWWN “ESPN Radio 1100” advances from #26 to #25. In addition to being an overall +1.3 in six consecutive positive spikes (2.0 – 2.4 – 2.6 – 2.8 – 2.9 – 3.2 – 3.3, 6+), Nevada Public Radio’s KNPR enters the top ten (#11 to #10). Las Vegas Music Formats – Within 2.4 – 2.8 range (6+) in each of the last seven reports (2.8 – 2.6 – 2.4 – 2.4 – 2.6 – 2.7 – 2.4, 6+), Kemp Broadcasting rhythmic CHR KVEG explodes with a +.9 to 3.3, its strongest 6+-stat since March (3.3, as well), and “Hot 97.5” zooms into the top ten (#16 to #10). Trending .8 – .8 – .9 – .8 – .9 (June through October, 6+), University of Nevada’s KUNV “91.5 Jazz & More” logs a +.7 to 1.6, reaching the one-share level (6+) for the first time since May (1.1). Not only does Lotus Communications’ KXPT advance from fifth to third, “97.1 The Point – #1 For Classic Rock” is an overall +1.8 in five straight positive spikes (3.7 – 3.9 – 4.5 – 4.9 – 5.0 – 5.5, 6+) and has its best 6+-performance (5.5) in just over two years (5.9, October 2016). On top for the third month in a row is iHeartMedia adult contemporary KSNE “Sunny 106.5 Better Music for a Better Workday,” which basically stabilizes (8.4 – 8.3, -1, 6+), after September and October’s combined +2.1 (6.3 – 7.5 – 8.4, 6+). October’s (8.4) represents the highest 6+-share for “Sunny” since “Holiday” 2017’s 12.5. This calendar year, KSNE has been on top in March, May, June, July, September, October, and November. Even though an increase of two-tenths to 1.8 (6+) by Univision Radio regional Mexican KISF suspends three negative moves in succession that accounted for a -1.2 (2.8 – 2.4 – 2.3 – 1.6, 6+), “103.5 Zona Mx” backslides from #21 to #22. On the heels of October’s -.7, Beasley Media Group urban-rhythmic oldies KOAS “Old School 105.7” erodes by another eight-tenths in November (5.1 – 4.3, fourth to sixth, 6+). As it entered the October ratings period, “Old School 105.7” was a cumulative +1.7 in five straight increases (4.1 – 4.3 – 4.7 – 4.9 – 5.1 – 5.8, 6+). Surrendering all of October’s +.5 and one-tenth more (3.8 – 3.2, -.6, 6+), Faith Communications’ contemporary Christian KSOS “SOS Radio” falls from the top ten (#10 to #12). October’s 3.8 was its highest 6+-stat since January’s 3.9. Faltering by six-tenths as well is Entercom rhythmic hot AC KXQQ “Q-100.5” (seventh to ninth), which is a collective -1.3 in three losses in succession (4.9 – 4.5 – 4.2 – 3.6, 6+). Co-owned hot AC KMXB “Mix 94.1” (third to fourth) drops one-half share to 5.4, its lowest 6+-showing since February (5.4, as well). Cincinnati Spoken-Word Formats – Notwithstanding that WLW (10.8 – 10.0, 6+) remains at #1 for the sixth consecutive sweep, it has been a rollercoaster ride for the iHeartMedia news/talk outlet. Some recent fluctuations for WLW include: a combined +2.0 (January and February); -1.0 (March); +1.6 (April); -1.2 (May); -1.4 (September); +1.7 (October); and now -.8 (November). October’s 10.8 was the highest 6+-share in more than two years (10.8, as well, in June 2016) for the flagship of MLB’s Reds and NFL’s Bengals. Co-owned WKRC “55 KRC The Talk Station in Cincinnati” has an up/down July through November topline of 3.6 – 4.1 – 3.7 – 4.0 – 3.6 (6+) and drops from ninth to tenth. July’s increase of eight-tenths halted four straight monthly reports without an increase for a collective -1.0 (3.8 – 3.7 – 3.3 – 3.0 – 2.8, 6+). Following October’s one-half share gain to 1.4 – its best 6+-stat since May (1.4, as well) – sports talk sibling WCKY “Cincinnati’s ESPN 1530” levels out at 1.4 and repeats at #17. Off a collective four-tenths in three successive sweeps without an increase (3.5 – 3.5 – 3.3 – 3.1, 6+), Cincinnati Public Radio news/talk WVXU is back to July’s 3.1 (6+) and carries on at #12. Cincinnati Music Formats – Having logged six straight down or flat sweeps that resulted in an overall -1.5 (4.9 – 4.2 – 4.2 – 3.9 – 3.9 – 3.9 – 3.4, 6+), iHeartMedia CHR WKFS erases nearly half the loss with a gain of seven-tenths (4.1, 6+). “Kiss 107.1 Cincinnati’s #1 Hit Music Station” is back in the top ten (#11 to #9). Although it is without an increase for the third successive time for a collective -1.3 (7.9 – 7.4 – 6.6 – 6.6, 6+), Hubbard hot AC WKRQ “Q-102 Cincinnati’s Hit Music” remains in fourth-place. Anchored at #3, country sibling WUBE “B-105” is up one full-share via three straight up or flat monthlies (7.9 – 8.3 – 8.9 – 8.9, 6+). This is the strongest 6+-stat for “B-105” in more than two years (8.9, as well, August 2016). Elsewhere in the market’s country format, Cumulus Media’s WNNF “94.1 Nash-FM” picks up one-tenth (1.8 – 1.9, #15 to #16, 6+), while WUBE cluster-mate WYGY “97.3 The Wolf” (#18) improves by two-tenths to 1.0, its best 6+-stat since February (1.0, as well). “The Wolf” had recorded either a .8 (6+) or a .9 (6+) in each sweep between March and October. In August, WDBZ registered a .9 (6+) to finish at #20, but the Radio One urban-rhythmic oldies is unlisted for the third month in a row. At #19 in October (1.2, 6+), Educational Community Radio’s WOBO “The Station With Something For Everyone” vanishes in November. Orlando Spoken-Word Formats – Unchanged in eighth-place, Cox Media Group news/talk WDBO-FM “News 96.5” is an overall +1.9 in five consecutive increases (3.3 – 3.7 – 3.8 – 4.1 – 5.1 – 5.2, 6+) and has its best 6+-performance (5.2) in more than a year (6.1, September 2017). Conversely, iHeartMedia news/talk WTKS “Real Radio 104.1 – We Say What We Want” has lost a collective eight-tenths in three straight declines (4.7 – 4.6 – 4.5 – 3.9, 6+) and continues at #11. Its +1.0 in August suspended three straight decreases that resulted in a -1.8 (5.5 – 5.3 – 4.0 – 3.7, 6+). Having nearly doubled (+1.2) its 6+-share as the result of four successive sweeps without a loss (1.5 – 1.5 – 1.9 – 2.1 – 2.7, 6+), iHeartMedia news/talk WFLF surrenders three-tenths to 2.4 (6+) yet improves from #15 to #14. At the same time that Cox Media Group sports talk WDBO-AM “ESPN 580 Orlando” gains three-tenths to 1.4 (#20 to a three-way tie at #17), iHeartMedia’s similarly-formatted WYGM “FM 96.9 The Game – Orlando’s Sports Leader” drops two-tenths in consecutive sweeps (1.3 – 1.1 – .9, 6+) and departs the top twenty (#20 to #21). Anchored at #12, Community Communications’ news/talk WMFE “90.7 Public Radio for Central Florida” has been +.5 (September); -.7 (October); and now +.3 in November (3.3 – 3.6, 6+). Orlando Music Formats – Not only is iHeartMedia Spanish tropical WRUM on top for the 11th straight time, “Rumba 100” hangs out a +.8 to 8.9 (6+), thus ending at three its consecutive string of downturns that resulted in an overall -3.5 (11.6 – 10.1 – 8.2 – 8.1, 6+). April 2017’s 12.8 is the best-ever 6+-share in the station’s PPM-history. Moreover, “Rumba” breaks the October tie at #1 with co-owned CHR WXXL, which gains one-tenth (8.1 – 8.2, 6+), but segues to the runner-up slot. A one-half share September increase by “XL-106.7 Orlando’s #1 Hit Music Station” halted three downward moves in a row that accounted for a collective -1.7 (8.9 – 8.4 – 7.8 – 7.2, 6+). By posting an increase of seven-tenths to 7.1 (6+), its highest 6+-stat in exactly one year (8.1, November 2017), Cox Media Group-owned WMMO advances from fourth to third. WMMO was locked on 6.6 (6+) in July, August, and September, before dropping to 6.4 (6+) in October. Two-tenths behind “98.9 Orlando’s Classic Hits” is urban AC cluster-mate WCFB “Star 94.5 – Orlando’s Only R&B,” which is an overall +1.4 in five straight sweeps without a loss (5.5 – 6.0 – 6.3 – 6.3 – 6.8 – 6.9, third to fourth, 6+). Flat at #7, Entercom hot AC WOMX “Mix 105.1” records its third sweep in a row without a loss and is a modest +.2 in that stretch (5.2 – 5.3 – 5.3 – 5.4, 6+). Off a collective one-half share as a result of being down or flat for the fourth ratings period in a row (3.4 – 3.2 – 2.9 – 2.9 – 2.9, 6+), iHeartMedia’s WJRR “101.1 Orlando’s Rock Station” continues at #13. Cleveland Spoken-Word Formats – On the heels of its October gain of eight-tenths, iHeartMedia news/talk WTAM “1100 Cleveland’s News Radio” forfeits one-half share (6.8 – 6.3, 6+) and drops from a four-way tie at #3 to #5. October’s +.8 halted four successive sweeps without an increase for a collective -.6 (6.6 – 6.5 – 6.4 – 6.0 – 6.0, 6+). Meanwhile, Entercom’s WKRK “Sports Radio 92.3 The Fan” (steady at #9) is up an overall two full-shares via five successive improvements (3.4 – 3.5 – 3.8 – 4.7 – 5.1 – 5.4, 6+), directly following a combined -1.8 in three straight (March through June) setbacks (5.2 – 4.4 – 4.2 – 3.4, 6+). Off four-tenths in October, Ideastream-owned news/talk outlet WCPN erases half that decrease in November with a gain of two-tenths (2.8 – 3.0, 6+) and continues at #13; September’s 3.2 was its best 6+-showing since February’s 3.6. Cleveland Music Formats – On top of being a collective +2.8 in three upticks in succession (6.0 – 6.5 – 7.5 – 8.8, 6+), WZAK marches from second to first. It is quite a turnaround for the Radio One urban AC, which had lost roughly 40% (-4.1) of its 6+ AQH share in five straight down or flat trends between March and August (10.1 – 9.6 – 8.1 – 6.8 – 6.8 – 6.0, 6+). Ousted from the top spot after five straight months at #1 is iHeartMedia classic hits-oldies WMJI “Cleveland’s Greatest Hits,” which – despite registering a +.4 (7.8 – 8.2, 6+) – shifts to #2. Its October loss of -1.5 suspended four straight improvements that – ironically – generated an overall +1.5 (7.8 – 8.4 – 8.5 – 8.7 – 9.3, 6+). Among WMJI’s fluctuations this calendar year are: -1.9 (January); +1.9 (February); -2.0 (March); +1.0 (April); -1.5 (May); +.6 (June); +.6 (September); and -1.5 (October). CHR cluster-mate WAKS “96.5 Kiss FM – Cleveland’s #1 Hit Music Station” completely wipes away October’s one-half share decrease with a like-margin November increase (3.9 – 3.4 – 3.9, 6+) but remains at #12. Dropping from third to fourth, co-owned WGAR “99.5 Cleveland’s #1 For New Country” is a collective -1.6 in three successive decreases (8.1 – 7.2 – 6.8 – 6.5, 6+). Over in the Entercom cluster, WNCX “98.5 Cleveland’s Classic Rock” (third to fifth) is an overall -2.1 (8.4 – 6.9 – 6.8 – 6.3, 6+) via three straight dips and has its lowest 6+-stat since April’s 6.0, while adult contemporary sibling WDOK “Cleveland’s Star 102.” is -.8 in three negative moves in a row (6.4- 6.2 – 6.0 – 5.6, seventh to eighth, 6+). Kansas City Spoken-Word Formats – Tacking on four-tenths to October’s +.3 (4.4 – 4.7 – 4.8, 6+), Entercom news/talk KMBZ-FM “98.1 News-Traffic-Weather” pushes ahead from sixth to fourth. An August gain of seven-tenths interrupted five straight February through July decreases that accounted for a -1.7 (5.6 – 5.4 – 5.3 – 4.8 – 4.1 – 3.9, 6+). Co-owned KMBZ-AM “Talk 980,” which was up four-tenths in October, is flat at 2.6 (6+), but slips from #18 to #19. When Cumulus Media’s KCMO-AM picked up one-tenth in October to .7 (6+), it ended three down or flat reports that accounted for a loss of two-tenths (.7 – .6 – .6 – .5, 6+); however, “Talk Radio 710 AM” returns that one-tenth in November (.6, flat at #23, 6+). Winning ways continue for Union Broadcasting’s WHB “Sports Radio 810,” which has more than doubled (+2.2) its 6+-share in six straight upticks (2.0 – 2.1 – 2.4 – 2.6 – 2.8 – 4.0 – 4.2, tenth to ninth, 6+). WHB was -.9 in February; +.9 in March; an overall -2.0 in April and May (4.0 – 2.9 – 2.0, 6+); and +1.2 in October. Forfeiting all but one-tenth of October’s +.4 (3.5 – 3.2, -.3, 6+), Entercom’s KCSP “610 Sports Radio” slumps from #14 to #17. In October, KCUR returned the three-tenths it gained in September (3.0 – 3.3 – 3.0, 6+), but in November, the University of Missouri news/talk outlet posts a one-half share increase to 3.5 (#15 to #14, 6+). Kansas City Music Formats – By adding six-tenths to October’s +.1 (2.7 – 2.8 – 3.4, 6+), Cumulus Media urban AC KMJK “Magic 107.3 – Kansas City’s Best Mix of R&B” shifts from #16 to #15. Off one-half share in October, Entercom alternative KRBZ “96.5 The Buzz” jumps six-tenths as well (2.7 – 3.3, #17 to #16, 6+) and has its best 6+-showing (3.3) since April’s 3.9. Hot AC cluster-mate KZPT “99.7 The Point,” a collective -.8 in four straight down or flat moves (4.6 – 4.6 – 4.5 – 4.3 – 3.8, 6+), adds one-tenth to 3.9 but moves from #12 to #13. This is yet another extremely powerful report card for Cumulus Media’s KCFX “101 The Fox – Kansas City’s Classic Rock Station,” which is #1 for the sixth time in a row and an overall +2.7 in six straight sweeps without a loss (7.0 – 7.2 – 7.2 – 7.8 – 8.8 – 9.6 – 9.7, 6+). Furthermore, this (9.7) is the highest 6+-stat for the Kansas City Chiefs’ flagship since July 2017’s 10.3. On the other hand though, classic hits-oldies sibling KCMO-FM “94.9 Kansas City’s Greatest Hits” is a combined -3.1 in eight successive March through November declines (8.1 – 7.7 – 7.2 – 7.1 – 6.8 – 6.4 – 6.3 – 5.4 – 5.0, 6+), dipping from fourth to sixth. “Kansas City’s Greatest Hits” was #1 in March, April, and May. Despite forfeiting one-half share to 7.0 (6+), thus curtailing three straight upticks for a cumulative +2.0 (5.5 – 6.5 – 7.3 – 7.5, 6+), Entercom-owned KQRC “98.9 The Rock” advances from third to second. Down one-half share as well is Steel City Media adult contemporary KCKC “KC-102.1 Today’s Best Variety” (4.7 – 4.2, sixth to ninth, 6+). A mere two-tenths separates the market’s three country outlets. Specifically, by posting a gain of three-tenths to 4.3 (6+), Entercom’s WDAF not only zooms from tenth to seventh, “106.5 The Wolf” pulls the plug on six straight sweeps without an increase for an overall loss of nine-tenths (4.9 – 4.8 – 4.6 – 4.6 – 4.6 – 4.3 – 4.0, 6+). It is tied at #7 with Steel City Media’s KBEQ, which is a combined -1.3 in October and November (5.6 – 4.4 – 4.3, 6+). Nonetheless, “Q-104 New Hit Country,” which gained six-tenths in September, progresses from ninth (to seventh). Meanwhile, co-owned KFKF “Country 94.1” is a combined -2.1 as a result of three downturns in succession (6.2 – 5.3 – 4.5 – 4.1, 6+) and exits the top ten (#8 to #11). Columbus Spoken-Word Formats – In three straight positive spikes (5.4 – 5.5 – 6.1 – 6.3, 6+), iHeartMedia news/talk WTVN “News Radio 610” is an overall +.9 and progresses from fifth to fourth. Seventh-ranked in January with a 4.4 (6+) – but then vanishing from print – RadiOhio sports talk outlet WBNS-FM “Sports Radio 97.1 The Fan” reappeared in October with +1.1 (5.6 – 6.7, #4, 6+). The flagship of the NHL’s Columbus Blue Jackets relinquishes four-tenths in November to 6.3 (6+) but remains at #4. After posting an April through October topline of .9 – 1.0 – .9 – .5 – .9 – 1.1 – .9 (6+), iHeartMedia sports talk WXZX “105.7 The Zone” is off three-tenths to .6 (#16 to #18, 6+). Answering October’s -1.1 with a November gain of one-half share (3.5 – 4.0, 6+), Ohio State University news/talk WOSU inches up from ninth to eighth. 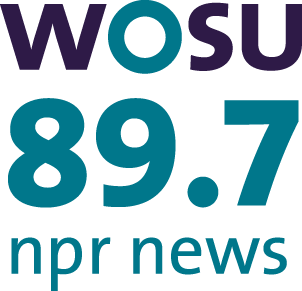 Immediately prior to the October sweep, WOSU had a net gain of seven-tenths via three straight up or flat monthlies (3.9 – 3.9 – 4.5 – 4.6, 6+). Columbus Music Formats – In addition to being a combined +1.1 in three straight increases (2.7 – 2.8 – 3.0 – 3.8, 6+), Radio One’s WCKX “Power 107.5” cracks the top ten (#12 to #9) with its best 6+-showing since September 2017 (3.8, as well). By duplicating October’s +.6 (6.5 – 7.1 – 7.7, 6+), Saga Communications’ WLVQ “Q-FM 96 – Iconic Rock” marches from third to second and displays its best 6+-stat since January 2017’s 7.9. Despite being a cumulative +1.1 in four up or flat trends in a row (2.4 – 2.6 – 2.6 – 3.3 – 3.5, 6+), iHeartMedia urban contemporary WZCB “106.7 The Beat” backslides from #10 to #11. Albeit that it has eroded by -3.3 in four straight setbacks (16.3 – 15.1 – 15.0 – 14.5 – 13.0, 6+), co-owned WCOL is #1 for the 11th sweep in a row and has been in double-digits (6+) each ratings period since June 2017. When “92.3 Columbus’ #1 For New Country” was -1.2 in August, it concluded five consecutive increases for an overall +4.0 (12.3 – 13.4 – 14.4 – 14.5 – 15.7 – 16.3, 6+). Among the major fluctuations for “92.3 Columbus’ #1 For New Country” this calendar year are +3.1 (January); -1.7 (February); +1.1 (March); +1.0 (April); +1.2 (June); +.6 (July); 1.2 (August); -.5 (October); and -1.5 (November). Following 10 consecutive reports at #2, WCOL’s CHR sibling, WNCI “97.9 Columbus’ Hit Music Station” (7.8 – 7.1, -.7, 6+), falls to #3. WNCI was +1.3 in June; a collective -1.8 in July and August (10.7 – 10.0 – 8.9, 6+); +.5 (September); -1.6 (October); and -.7 (November). Adult hits cluster-mate WODC is an overall -1.7 as a result of three consecutive dips (6.7 – 6.4 – 5.3 – 5.0, 6+), but “93.3 The Bus – We Play Anything” carries on at #7. This present streak immediately follows four consecutive improvements that netted a +1.6 (5.1 – 5.6 – 5.7 – 5.9 – 6.7, 6+).